KING OF THE WORLD: "What can I say? Life is good," admits the pop rising star. With influences that range from Bob Marley to Bruno Mars, David Correy is a pint-sized vocal powerhouse with crowd-pleasing appeal, genuine talent and a youthful zeal that is clearly holding him in good stead for a promising future. At 28, the former X Factor contestant has scored his biggest gig to date: recording and performing the official anthem ("The World is Ours")of the much-anticipated 2014 FIFA World Cup. Recently in Jamaica with the Coca Cola team as part of the Trophy touring party, the singer kicked it with TALLAWAH about life as a star on the rise, creative influence and Jamaica's refreshing allure. 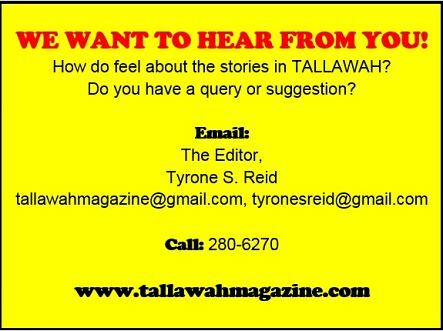 TALLAWAH: What was it like, as a recording artist, finding inspiration for the World Cup theme song? Correy: I think it was about trying to find a song that can resonate with people around the world. It didn't have to be about soccer. If this wasn't the World Cup you could still listen to it and still feel something that didn't have anything to do with soccer. It's a song that relates to everybody. 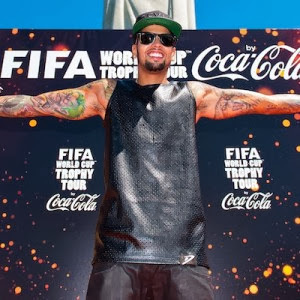 These past few weeks you've been trotting the globe with Coca-Cola on the 89-countrty FIFA Trophy Tour. How exciting. (Laughs). A-list artistes don't get to tour this many countries, so this is a chance for me to take that influence and put it into my music. I remember the last day on X Factor I said, 'This won't be the last time that you see me', and her I am doing the biggest Coca-Cola campaign. It's great. And now you've landed in Jamaica. Pretty cool, huh? Jamaica is like catching the perfect wave 24/7, and to see it, it's like you don't want to leave. Outside the studio, what are your interests? I'm real big on tattoos, as you can see (Laughs). I also have my own company called Urban Rock Records, and that's my own brand. We do a lot of merchandizing, from hats to shoes to bandanas. Are you happy with where your career is positioned right now? I've been grinding for a long time. Countless mixtapes. I was on the X Factor; L.A. Reid was my mentor. I just reunited with my birth mother, and I'm on the Coca-Cola world tour. What can I say? Life is good.